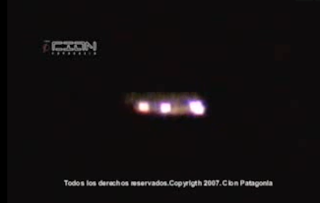 Our friend and colleague Liliana Núñez, formerly with Archivos Forteanos Latinoamericanos, reminds us of this intriguing video from 2004 allegedly showing a "UFO landing at Puerto Natales" (in the commune of Natales, Province of Ultima Esperanza, Chilean Patagonia). There is no narration beyond random voices: at 00:29 someone asks "Where is Humberto?" and "It has a weird shape" at 00:36. The video is credited to the Centro de Investigacion Ovnilógica de Natales (Patricio Frias, Jose Loalza, Eladio Godoy & Walter Vera).